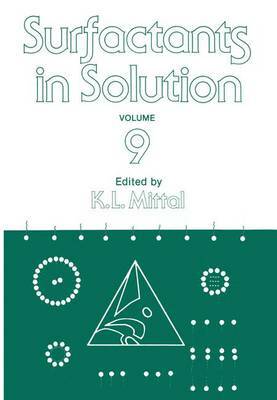 This and its companion volumes 7,8, and 10 document the proceedings of the 6th International Symposium on Surfactants in Solution (SIS) held in New Delhi, India, August 18-22, 1986 under the joint auspices of the Indian Society for Surface Science and Technology, and Indian Institute of Technology, Delhi. As this symposium was a landmark -- it represented the tenth anniversary of this series of symposia -- so it is very apropos to reflect on how these symposia have evolved to their present size and status. The pedigree of this series of symposia goes back to 1976 when the premier symposium in this series was held. Actually in 1976 it was a modest start and it was not possible at that time to gaze at the crystal ball and predict what would be the state of affairs in 1986. For historical purposes, it should be recorded here that the first symposium was held in Albany, NY, under the title "Micellization, Solubilization and Microemulsions"; the second symposium was christened "Solution Chemistry of Surfactants" and was held in Knoxville, TN, in 1978; the venue for the third symposium in 1980 was Potsdam, NY, and it was dubbed "International Symposium on Solution Behavior of Surfactants: Theoretical and Applied Aspects.